Last month, I reported our excitement about getting the new 2010 Raleigh Talus 5.0 in stock. I mentioned that we didn't have its specs, or the details on the rest of the 2010 Raleigh line, listed on our web site yet. Well, for those of you who have been waiting on the edge of your seats, that time is now here! 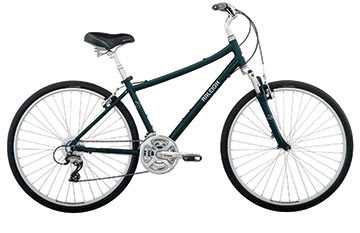 You can start at our Raleigh Bicycles page and browse by bike style, or just use our search box on the left of any page to find your favorite model. As we've mentioned before, Raleigh has really upped the ante on the look of their bikes this year, such as on the aforementioned Talus 5.0 mountain bike. Topping out their road bike line is the Team, featuring a carbon monocoque frame, Mavic Ksyrium SL wheels, SRAM Red 20-speed drive train, and FSA carbon handlebar. At the top end of the mountain bike line is the limited-edition XXIX Pro, with a Reynolds 853 steel frame, Fox F29 suspension fork, and trail-hugging 29-inch wheels. If you're looking to try the big 29er wheels on a budget, check out the Talus 29 or my perennial favorite, the XXIX singlespeed (now in "Kermit" green). 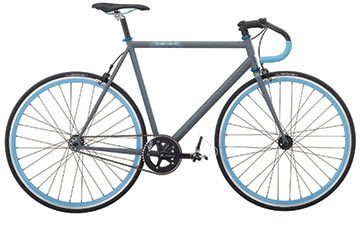 The popular Rush Hour fixed-gear bike is back with a traditional drop handlebar, as well as with a Flat Bar. For the more practical commuter, check out the unique new Alley Way, with an 8-speed internally-geared hub and chainless carbon belt drive-train. Of course, you're sure to find plenty of our best-selling hybrid models in our stores soon. The Venture 4.0 has some slick new colors, and the Route 4.0 features a new, more relaxed comfort geometry. Best of all, both models have held the line and feature the same price as their 2009 counterparts, $449.99.